Award-winning Naseberry Eye Exfoliant leaves the delicate skin around your eyes smooth and youthful. 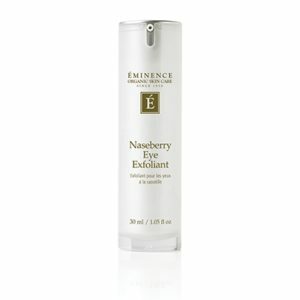 The Naseberry Eye Exfoliant is comprised of gentle fruit enzymes that work to exfoliate the skin and reduce the appearance of fine lines and crow’s feet. Also containing Wild Black Carrot, which revitalizes the skin and reduces fine lines, and Raspberry, a powerful skin antioxidant. 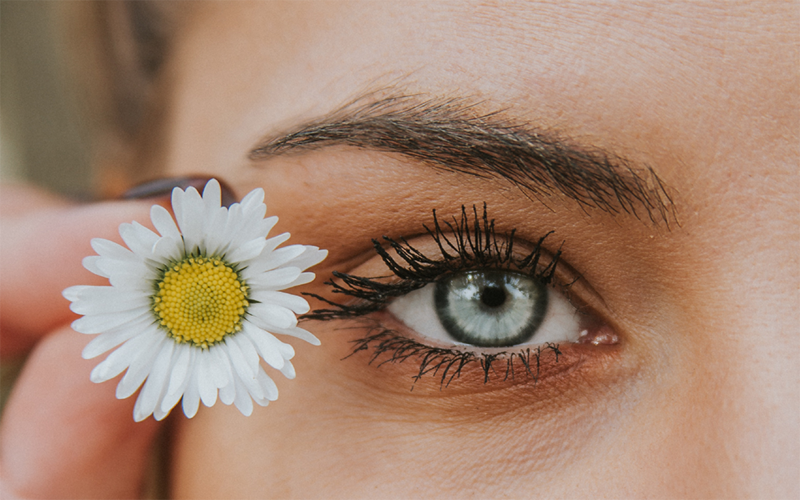 The Naseberry Eye Exfoliant can be seamlessly added into your skincare routine; you can have refreshed eyes in about the time it takes to brew a cup of tea or brush your teeth. Dispense a small amount of exfoliant and apply gently around the eye area in a circular motion. Allow the exfoliant to remain on the skin for 5 minutes, then remove gently with a damp cloth. Follow with an eye masque or eye cream. The appearance of skin texture is improved and toned. Combats the appearance of fine lines, redness, and puffiness. The Eminence natural, organic and Biodynamic® ingredients may have slight variations from harvest to harvest. This month, you can also pick from an assortment of samples: Naseberry Eye Exfoliant, SLAB soap or Neuma Hair Care – your choice! Complimentary member samples can be picked up at the Anjou Spa Welcome Desk during the month of December. Dial (541) 241-8454 to book your next treatment or book online. Consider other gems, home goods, and organic self-care products when shopping our Welcome Boutique on your way in or out at our new location of 1835 NW Pence Lane, Suite 120, off NW Shevlin Park Road on Bend’s westside neighborhood, at the bottom of College Way. Read Anjou Spa Reviews here, and learn more about our Anjou Bend Spa Membership too.